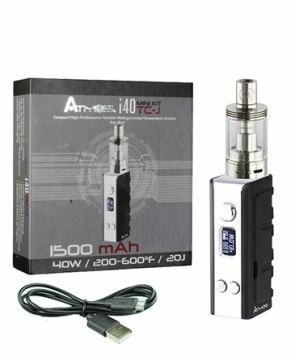 The Atmos i40TC-J Mini Starter Kit is a pocket-size starter kit complete with mod and tank that is ready for temperature control vaping right out of the box. 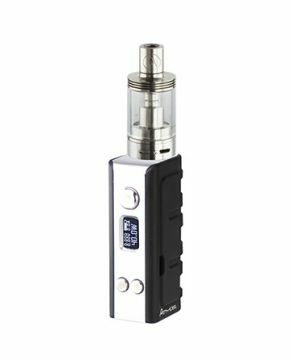 The Atmos i40TC-J Mini Mod features both variable wattage and temperature control output modes, allowing you to use standard clearomizers and sub ohm style tanks or drippers with this device. This mod is one of the few to come equipped with an embedded lithium-ion battery, meaing everything you need to begin vaping will come included with the kit, eliminating the need to purchase separate batteries, chargers etc. 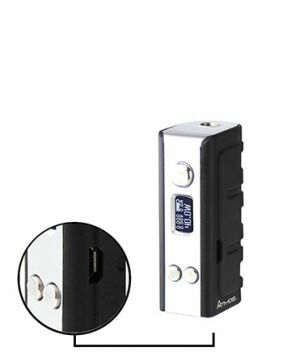 The Atmos i40TC-J Mini Mod also features a power output maxing out at 40W,a durable rubberized exterior, a 510 threaded connection and a bright OLED display that allows for quick and easy adjustments at the touch of a button. 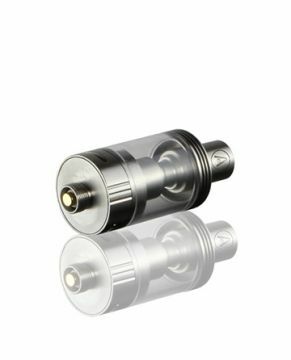 This kit also includes an updated Sub Vers sub ohm tank that has an adjustable airflow control system for fine tuning your vaping experience and comes complete with two separate style atomizers wicked with Organic Japanese cotton for the cleanest vapor quality possible.